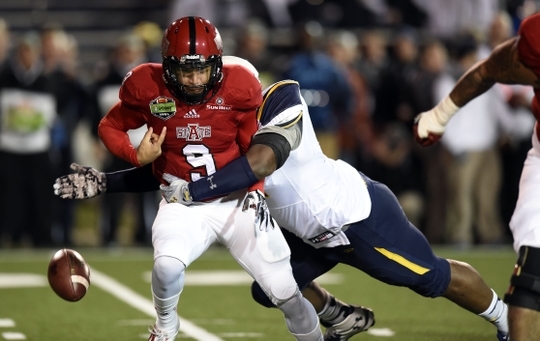 Toledo only has three afternoon kickoffs scheduled so far for 2015, but it doesn’t matter. These Rockets are ready to take flight. This team is as talented as any in the MAC and they have an opportunity to push double digit wins this season. 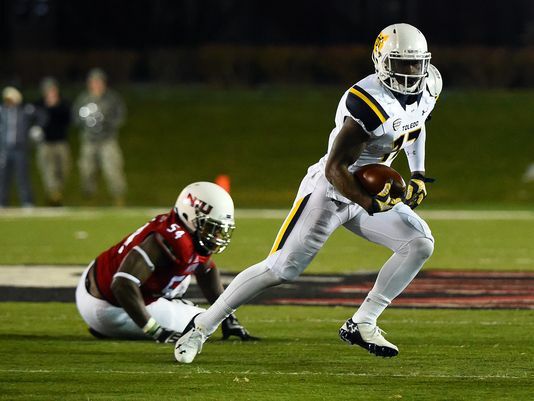 On almost any team you could make the argument that the quarterback is the most important offensive player, but for Toledo everything begins and ends with Kareem Hunt. Hunt is the All-MAC running back who rushed for over 1,600 yards and 16 touchdowns last season, and is on every single preseason All-MAC team and even preseason player of the year according to many. Hunt should continue to run roughshod, but it might not be quite as easy with five new starters on offensive line. With three All-MAC offensive linemen to replace, and only one player who have ever started a game on the roster there will be a learning curve for the Rocket O-Line in the early going. They don’t need to take too long though, because the Rockets will likely lean on Hunt and other RBs like Terry Swanson and Damion Jones-Moore while whomever plays quarterback gets settled in to the position. Logan Woodside filled in admirably for Alabama transfer Phillip Ely after Ely went down with a knee injury last season, and now it’s unclear which of the two will get the nod going forward. Woodside also missed most of spring practice after having an off-season ankle operation. Either way, Toledo’s starting quarterback will be coming off of injury and may need a few games to re-acclimate to game speed and conditioning. The good news is that either guy should have adequate passing targets with leading receivers Corey Jones and Alonzo Russell returning after combining for 120 receptions and over 1,600 yards last season. TE Alex Zmolik should also help out in both the passing game and run blocking. 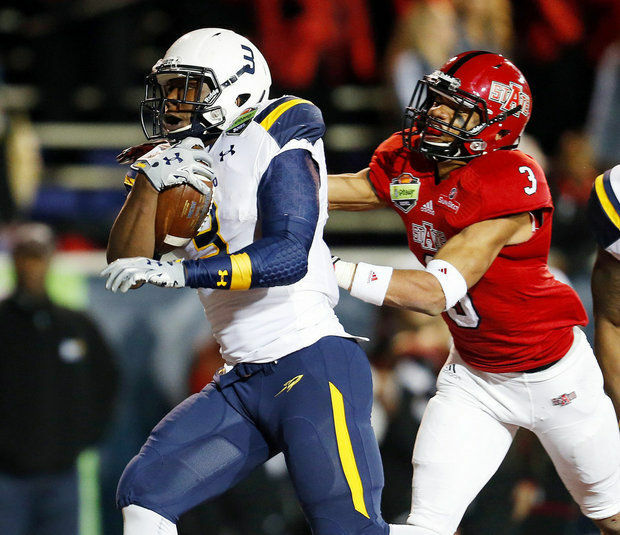 As well as Toledo runs the ball, they should be equally as hard to run on in 2015. Honestly, the toughest test either group may face is in a starter vs. starter scrimmage. (That’s almost never actually true, but it does convey a good point). Trent Voss, Treyvon Hester, and Orion Jones anchor one of the best, if not the best, defensive lines in the conference. All three guys have made appearances on preseason 1st team All-MAC lists, and Voss has been voted as the hardest hitter in the conference. Meanwhile, Jones has been listed as a top NFL draft prospect due to his pass rushing ability from an interior line spot. There are some question marks behind the stellar D-Line with LBs Junior Sylvestre and Ray Bush gone, but there are experienced backups ready to fill their shoes in Chase Murdock, Jaylen Coleman and Zach Quinn. Secondary play was a black mark on the Rocket defense, but they did lose two starting cornerbacks early in the season last year in Cheatham Norrils and Cameron Cole. Norrils and Cole are back and healthy and now a formerly thin secondary looks deep, especially with the addition of UAB transfer Rolan Milligan. Chaz Whittaker may be the best player on the back end though as the starting safety has received some preseason All-MAC love. Toledo clears two humps and fails to clear another in 2015. The Rockets haven’t won 10 games in a season since 2001, and they’ve also lost five straight to Northern Illinois. Both of those streaks feel ready to end in 2015. Toledo has the talent and the ability to pull this off, and if they do then in all likelihood their regular season finale against Western Michigan will determine the MAC West champion. And as those astute readers may have already noted, I’m taking the Broncos over the Rockets. Regardless, if Toledo can get back to double-digit wins and break their slump against the Huskies that has to count as a positive season right? I’d say so.